We are a leading Manufacturer of maria vol-02 designer saree, shyukta designer printed sarees, fancy georgette print border saree, fancy sarees, printed saree and designer georgette saree from Surat, India. Do Note : Slight Color Variation in actual color vs. image is Possible along with Patch Border work. Full Set : 18 Pcs. 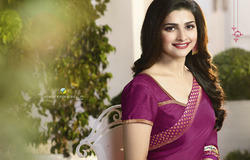 We are offering Georgette Sarees to our valuable customers while keeping in mind their demand. We offer product to meet the satisfaction of customers by our best product. 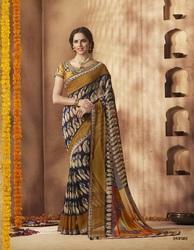 We are offering Georgette Printed Saree to our valuable customers while keeping in mind their demand. We offer product to meet the satisfaction of customers by our best product. Full Set Price: Rs 8100. We are offering Fancy Suits to our valuable customers while keeping in mind their demand. We offer product to meet the satisfaction of customers by our best product. We are offering Ladies Georgette Casual Wear Sarees to our valuable customers while keeping in mind their demand. We offer product to meet the satisfaction of customers by our best product.